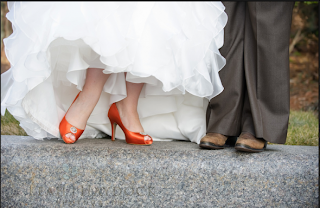 No longer are brides opting for beige, white or simple shoes. 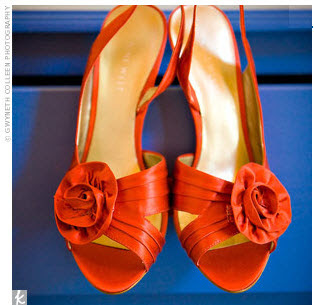 Brides are instead wearing fun shoes in bright pops of color. 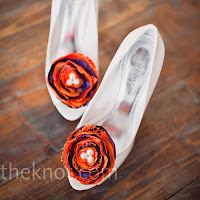 As a Clemson Girl bride, how fun would a pop of orange be, peeking out from beneath your dress? 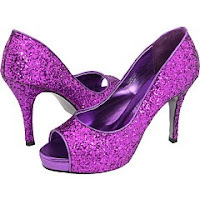 Purple shoes are easy to come by and fun too. 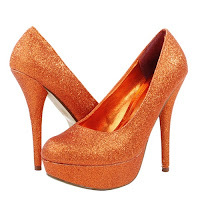 Or go full on Clemson and find a shoe that has both orange and purple. 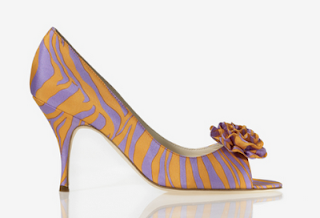 Could this first shoe be any more obvious?? 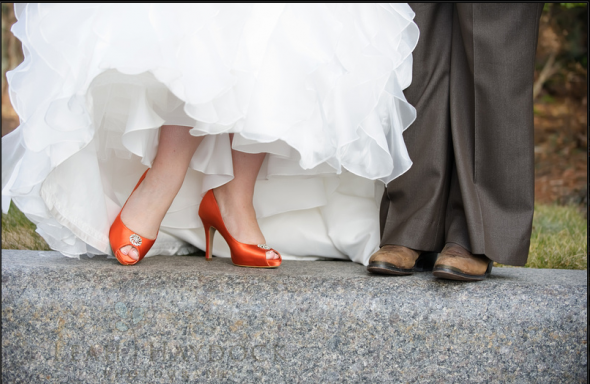 Whether you choose a gorgeous high heel or a pair of comfy Toms, we love the idea of a statement Clemson colored shoe on your wedding day. 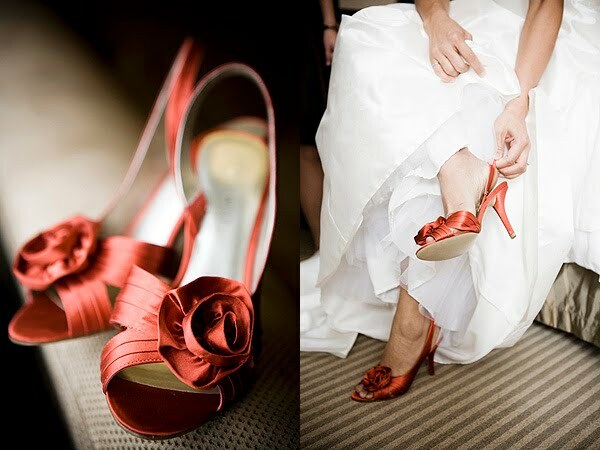 Check out some of our favorite photos we found when scouring the web. 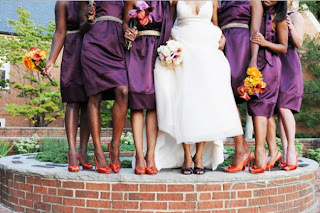 I want these shoes in my closet...wedding or not.... :) Enjoy the orange and purple shoe-plosion below! 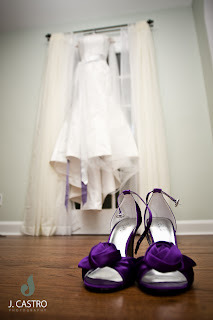 Say YES to the dress...and these shoes! 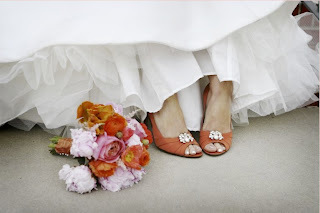 Comfort on your wedding day is key - dance the night away in these fun Toms! 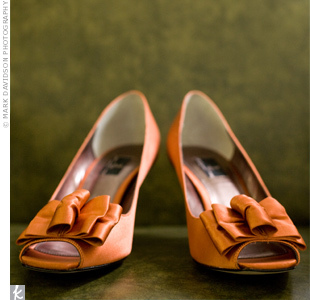 Still want to stay somewhat traditional? Search Etsy and find orange and purple shoe clips to add a subtle pop of color. 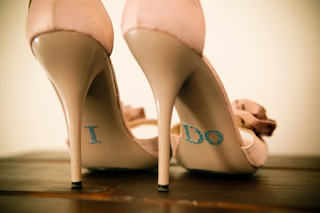 Another trend Brides are following these days is adding messages, photos, bling to the bottom of their wedding shoes. I'm having a "Why didn't I think of this before?!?!" 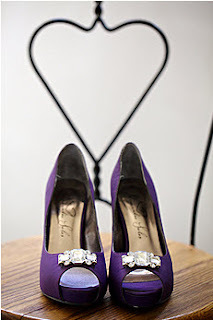 moment - but how cute would it be to take a rhinestone Clemson pin, remove the pin backing, and glue it to the sole of your wedding shoe? 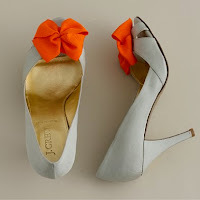 Or simply paint your own orange tiger paw using a paint pen - add some orange glitter to make it sparkle. If anyone does this (or has done it) please send us pictures!! Did you wear a bright colored shoe on your wedding day? 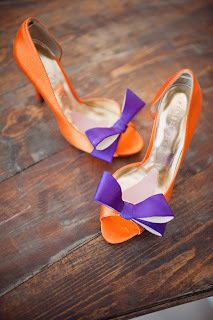 Are you planning on wearing orange or purple (or both) colored shoes on your upcoming wedding day? 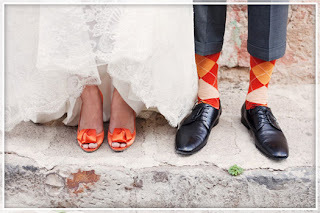 Do you have a Clemson themed wedding, engagement session, or anything Clemson and wedding related that you would like us to share on an upcoming Wedding Wednesday? Email us --> clemsongirlblog@gmail.com. LOVE these pictures! Absolutely beautiful! Such a memorable time!